Three years is a long time in any sport, but in horse racing terms, it is little short of an eternity. When Toast of New York lost by a nose at the Breeders’ Cup Classic in November 2017, who could have guessed that he would not race again till three years later? For him to return from exile with a victory is the stuff of horseracing legends. It is the sort of thing that would be deemed just too improbable if it happened in a work of fiction. After the so close but yet so far meeting in Santa Ana, Toast of New York was sold to Al Shaqab Racing, who planned to run the bay stallion in the Dubai World Cup. But then, disaster struck in the form of a tendon injury that looked to spell the end of his racing career. The horse was retired and sent to stud in Qatar, but over time, it became clear that a Rocky-like return to action was a genuine possibility. Jamie Osborne was the trainer with the unenviable task of getting the horse back to full fitness after the extended layoff, and admitted it was far from easy. He told reporters that he had been “in unknown territory,” and was hugely relieved to see the horse return to the track so successfully. The long period of absence is not the only thing that sets Toast of New York apart. 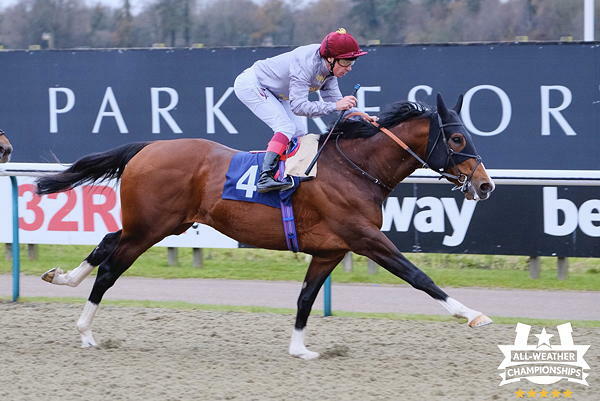 It is also extremely unusual to see a six year old racehorse in action that is still entire, and both Osborne and Frankie Dettori knew they would have their hands full. There are not many horses that can surprise the veteran jockey, but Toast of New York managed to throw him before they even reached the start line, despite being hooded – a clear indication that he was ready for the challenge to come. All the talk of fairy tales and truth being stranger than fiction might imply that those who backed Toast of New York were sitting on a huge pay day, but the bookmakers knew better than that. Although Petite Jack was the 7/4 favourite at Lingfield, the shock winner was perhaps not such a shock after all at 2/1, so anyone looking for a Christmas bonus will have to keep searching for December’s best deals. There’s always the Gold Cup at Cheltenham on 16 December. As for Toast of New York’s next race, Osborne knows that one thing he does not have to do is hurry. The current thinking is that he might run at the Pegasus World Cup Invitational at Florida’s Gulfstream Park on 27 January, although his owners will be eager for him to finally appear in the Dubai World Cup in March, albeit three years later than planned.